When the RMB was actuated it often intermittantly registered multiple clicks. I use a logitech g502 which has more buttons than this and i use all of them apart from the one about the scroll wheel. Especially useful for productivity. Each to their own i guess. 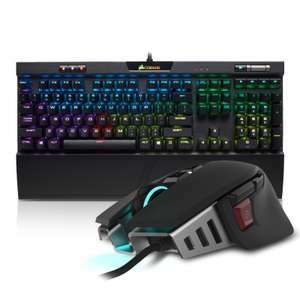 Also for less than this you could get a g502 and g910 which to me is better. 2 buttons is more than enough that's what i would call minimal for a mouse any more is just overkill and pointless. Thanks, just trying to factor cost/effectiveness. USB switch is £20 which allows me to use my current keyboards and mice. Will see how both options work and return accordingly. Do I need to order extra unifying receiver for mac/pc? Guessing it only comes with one. 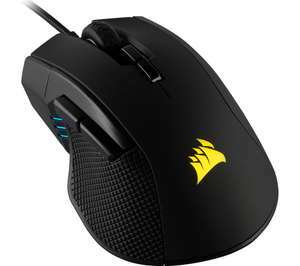 CORSAIR Ironclaw RGB Optical Gaming Mouse £44.99 at PCWorld/Currys. Yeah Logitech's G900 series of mice are the gold standard right now if you can afford them. Better than wired in every way (apart from price). I can't speak for this mouse but I've got the logitech g900 wireless and it's been perfect. No jitter, as responsive as wired, good battery life and good placement of the two side panels. Best mouse I've ever had for gaming. I had the non wireless charging version of this. Not great at all. Didn't fit my hand which can be a personal thing obviously, but the mouse did stutter as mentioned and the software was not great. Can't find anything to replace my logitech g700s with that feels anywhere near as comfortable. Plus 10% off for student prime. Heat added. Its currently £35 in argos ! Which I think is too much too! There were lots less that £23 but I'd question the build quality. Theres not a lot out there advice wise. Pcgamer reviews were mainly £50-100 models. 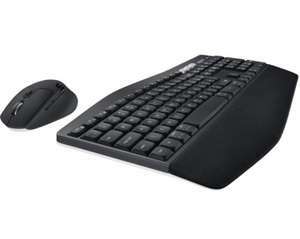 The come with a 2 year warranty from Logitech when you buy anywhere. Yes no time machine but only couple of days ago was £14. Never miss a 'PC Mouse' deal again! Cheaper than Amazon (not for long). Guess I got lucky - I have the white Kone Pure+ and the software for that is solid (it's not the Swarm software, which I found incomprehensible, but one from the driver disc that came with the mouse). I did have to scavenge the program from my Win 7 drive since it would not install under Win 10, though. Really nice mouse, and this one is a bit more refined still so I recall (the sensor in particular). Terrific price, have some heat! 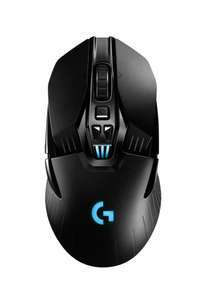 I currently use a g305 but I reserved one. I have small to med hands so I think this'll be great. You probably have very small hands, I guess it doesn’t work for everyone but all my mates own one and they all purchased it after using mine. None had small hands though. I've been looking for a new mouse to replace my ailing G500s and was about to buy this one from Amazon Germany a few days ago, but decided not to because the return would cost me if I didn't like the fit (and the shipping cost brought it up to 55 quid). Glad this popped up, was just about to post it! Nice find! Fixed issues? I have the old model now ans don't know about any issues that need fixing!? +1 for roccat kone/emp/aimo if you favour a palm grip and have larger hands. Not tried this G502 but tempted as it's spoken about highly. Ordered (with a G413 keyboard separately, as I'm not expecting to get one bundled with the mouse!) Thanks @Brutes , good call! I have one of these for each of my desktop and laptop computers. I've been through all the fancy mice with multiple buttons and "ergonomic" grips - but settled on this mouse which works really well for the things you need a mouse to do, giving an excellent response to movement on any surfaces I use it on. Agreed, it might be handy for quick use with a laptop though since it looks pretty compact it will fit in any laptop bag. I wouldn't use it for any length of time though unless i feel like torturing myself. This ‘nice ‘ looking mouse seems to have the ergonomics of a brick. Got something similar in white it's Decent. Heat. steelseries qck+ all day long. No but i do care about the quality. I'd need to see some impressice zero to 60 times before I'd consider buying. Really good drag coefficient though. Unfortunately, it states not available for delivery this morning. Maybe they have all gone. None to pick up either, withing 50 miles. Now there's a product opportunity- combined battery bank and mouse! That way all of us obsessive mouse-and-battery-bank-buyers can spend more money! Don't need one. £26.99 if you prime student. Probably should have paid more attention to the reviews, not particularly keen on the scroll wheel so far. this - my only gripe with it goes into non clicking scroll mode on it's own... annoying. Cheers, ended up buying. When I added to basket, had a mystery £10 off voucher on my account so for £27.56 seemed rude not to. I'll take the M510 back into work where it can replace an M305. Thanks for that. It's s hit steep for me. Has prompted me to change the button settings on my master so that in Navis, the sids buttons are shift and scroll button for 1 handed panning around models. Missed out again.. love a good mouse!.. This looks like, and the spec reads like - the Trust Comfort mouse; THE most comfortable mouse I have owned*. Can anyone tell me if they are in fact the same mouse under different badging?? *Comfortable for us giant handed people. Either or should be perfectly fine. Personally I'd go with the wireless one for laptop use. The difference would be minimal in-comparison to the Bluetooth one, so either will be fine. I plan to use it on a laptop. All depends how you plan to use it. Mobilephone / tablet? Bluetooth. PC/laptop can be either. If you laptop has Bluetooth built in then no need for the dongle. One thing to note if you plan to by wireless (2.4G) sitting next to a router/cordless telephones/microwave) may give connectivity issues. Should I buy Bluetooth or Wireless, hmmmm? Been using the G600 family for a while for gaming. Best mice I've ever used. HOT ! Great price ....fantastic gaming mouse !